If there’s one thing for certain about life, it is that life is always changing. Luke and I started off in a tiny house in a suburb, moved to a still small home in the woods, and now we are in a bit of a larger home back in the suburbs. 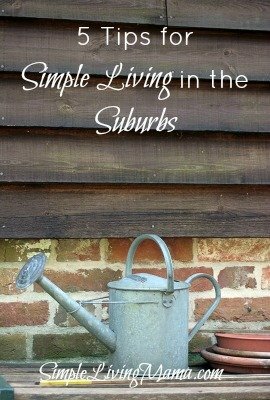 We have had to reevaluate a lot of things, but I am still convinced that simple living in the suburbs is possible. The deployment put me in survival mode. I tried to grow a little container garden, but it was not successful. Beyond that, I didn’t do much else that one who writes a simple living blog should do. I stopped using cloth diapers. I didn’t cook from scratch much. I really just needed to focus on raising my kids and getting through each day. Now that Luke is home I feel like the sun is shining again and we can start doing the things that we loved to do again. We can’t have chickens here. I do love having a few hens, but my in-laws now have our chickens so we still get fresh eggs. I have set up a few goals for myself in the next year. Luke will help me accomplish some of these goals. I doubt we will ever be 100% self-sufficient. There is always something to learn and something to do. 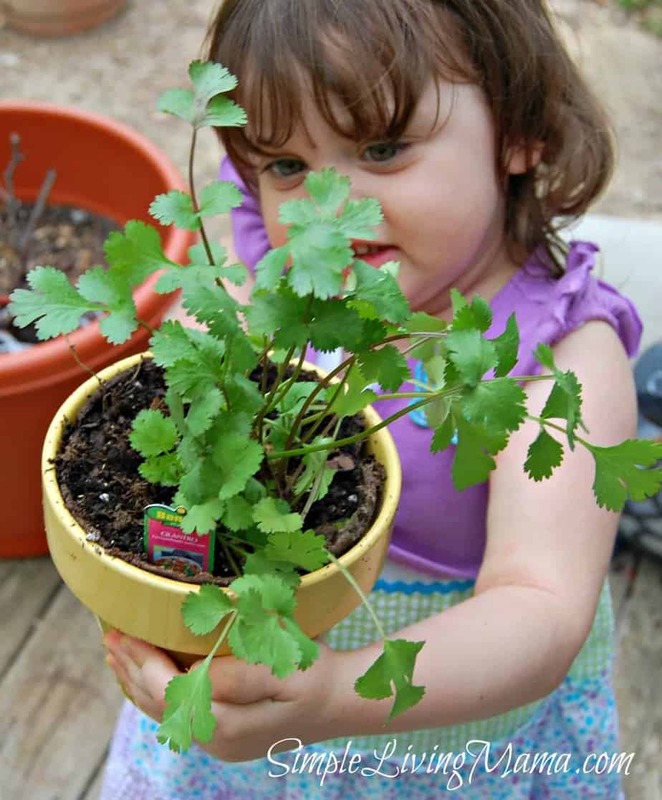 Grow a small container garden. I am determined to make this work with the help of Luke. I love fresh vegetables, he loves to garden and he’s pretty darn good at it. My rosemary is still alive and I can grow a few herbs. There’s nothing quite like having food that you grew on your own at your dinner table. I love growing herbs in containers. I think about all the things I can make myself to better serve my family. Between homeschooling and regular household duties I don’t really have a lot of time to learn new skills, but I am still going to try. I really want to sew some cloth napkins and learn how to make other little things like dishtowels and such. I also think it’s very important to know how to mend clothing. With a rapidly growing family, scratch cooking is necessary for the budget. I have learned so much in the nearly six years Luke and I have been married in regards to cooking. I can whip up soups, bake bread, and cook a healthy meal in my crockpot. 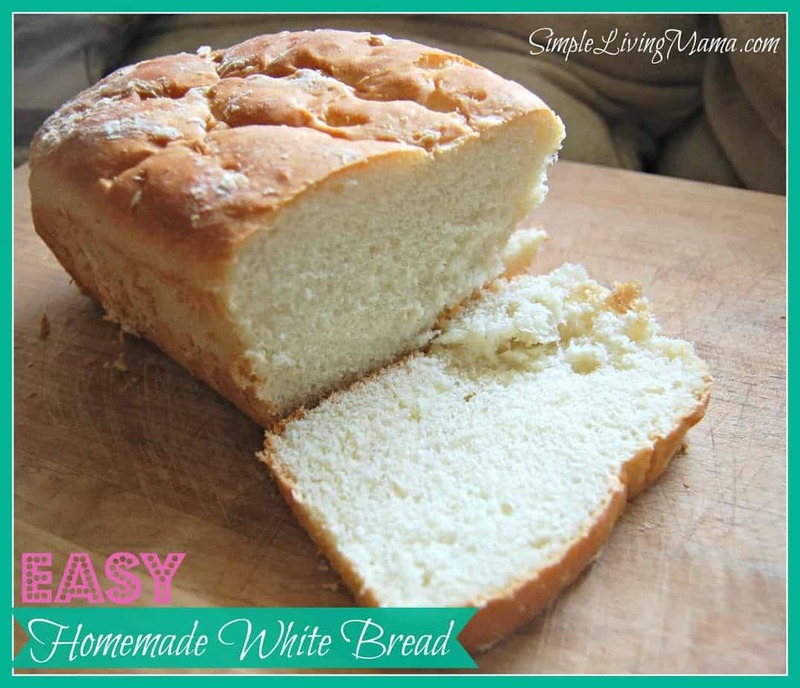 I have several simple and frugal recipes on the blog you can check out! Stuff makes me crazy. Sell things you don’t need. Give away things. Just reduce your stuff and clear the clutter. I feel like a weight is lifted every time I declutter. It’s crazy how wordly posessions can weigh you down! 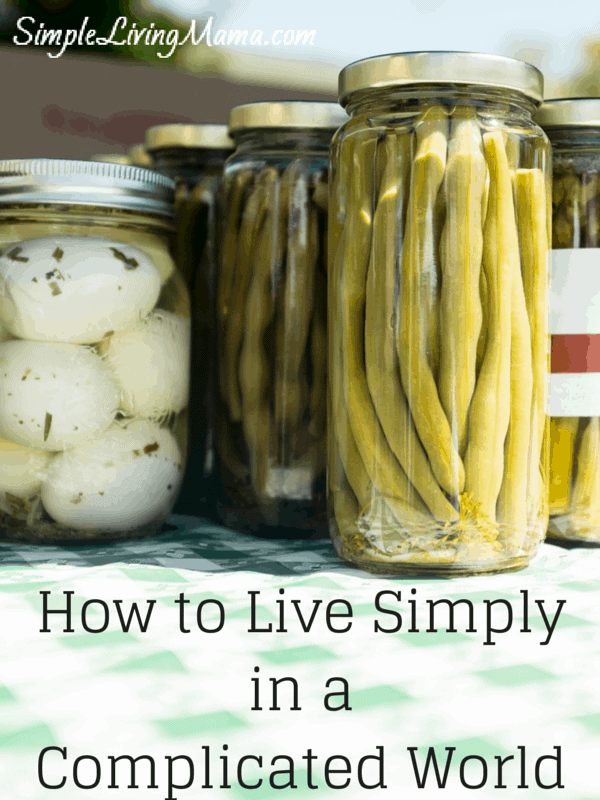 Simple living looks different for everyone. It ultimately means slowing down and enjoying your life. Do the things that make you happy. People often find fulfillment in making things with their own hands or making their house a home. Just slow it down. Be home as much as you can and enjoy your life with the people who matter most.